Bacopa Scopia Gullivers Blue produces delicate blue blooms among its fern-like foliage. 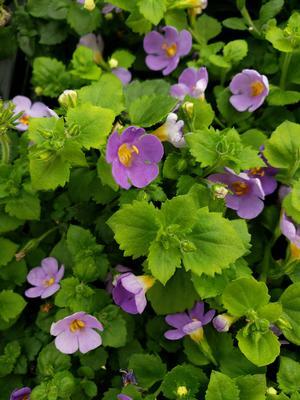 Bacopa trails gracefully over edges of flower beds, pots, planters and is exceptionally nice in hanging baskets! Scopia Bacopa has a trailing habit and will produce many small blooms for your Spring, Summer and Fall beds and containers. 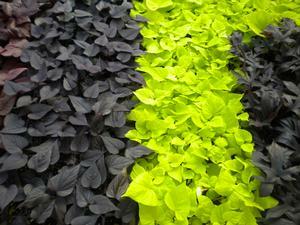 These beauties will grow up to 4-6” tall but will spread to about 12-16” wide, so try not to over crowd them! Bacopa prefers the cool Spring and Fall weather, but this angelic annual will bloom all Spring, Summer and Fall with a little TLC! Bacopa prefers full sun but will handle a little shade just fine too. Soil should be moist but well drained. 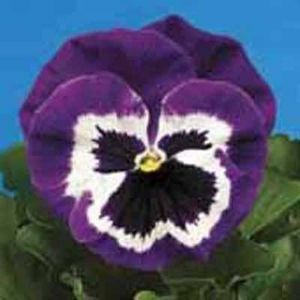 These are exceptionally lovely in containers, hanging baskets or as a trailing edge with other plants blended with it.